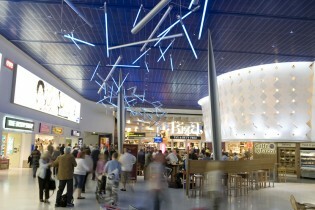 Milligan came to us after a fruitless search for an electrical contractor who would take on this unconventional lighting installation. 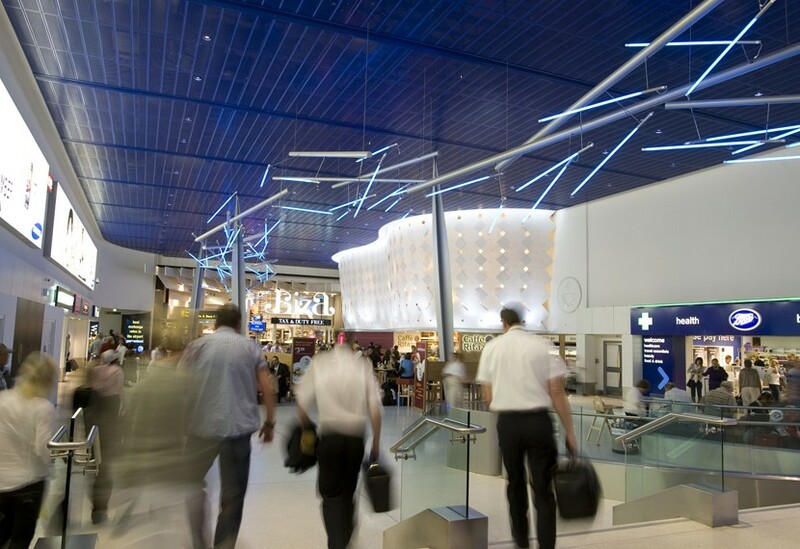 We thrive on the unconventional and when there is no off-the-shelf solution, we manufacture our own – in this case, the light fittings for the EncapSulite and ‘mothership’ tubes that make up this 47m long River of Light. 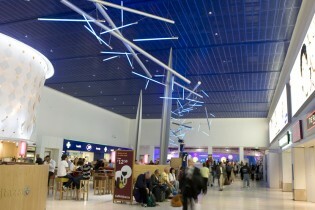 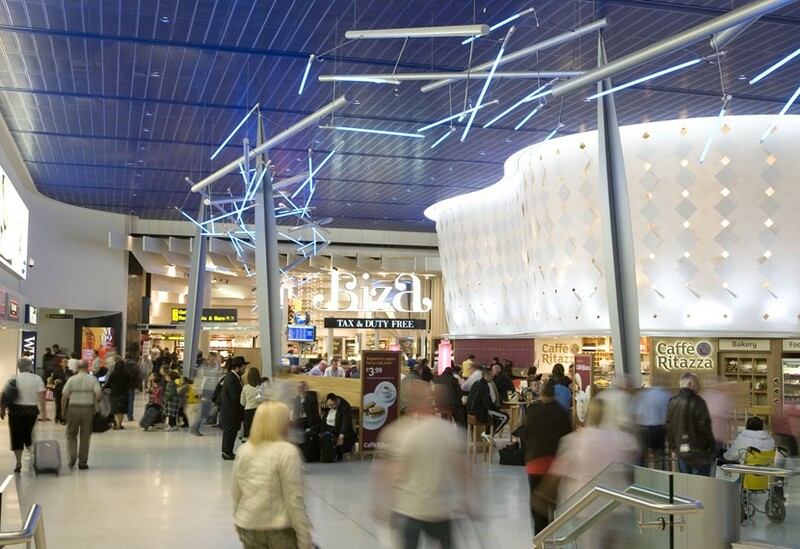 The installation forms the focal point of the award winning refurbishment of Manchester Airport’s T1.